Enjoy two charming operettas to get you in the Christmas spirit! 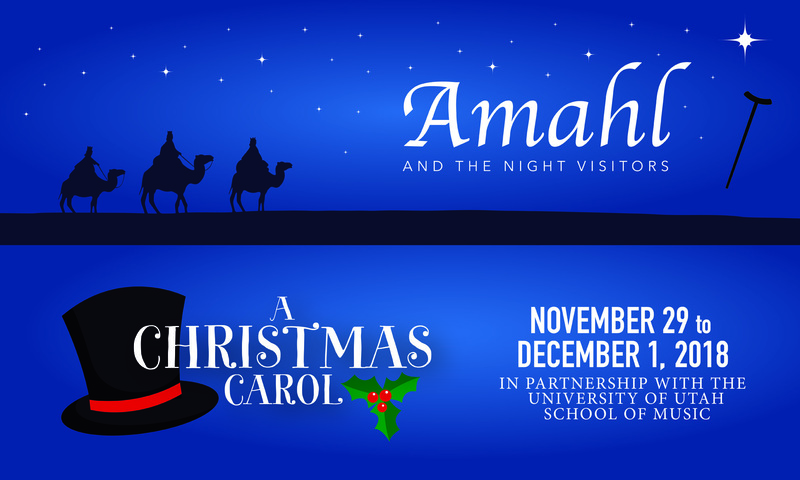 First, we meet Amahl and his mother. When the three kings, on their way to witness the birth of Christ, stop at their door, Amahl learns that generosity and compassion are among the greatest gifts we can give. Complete the night with a musical adaptation of the beloved Dickens classic, created by Utah locals Mike Leavitt and Anthony Buck. Follow Ebenezer Scrooge on his journey of the past, present and future.